I am very happy to share a special project I've been working on some weeks ago. 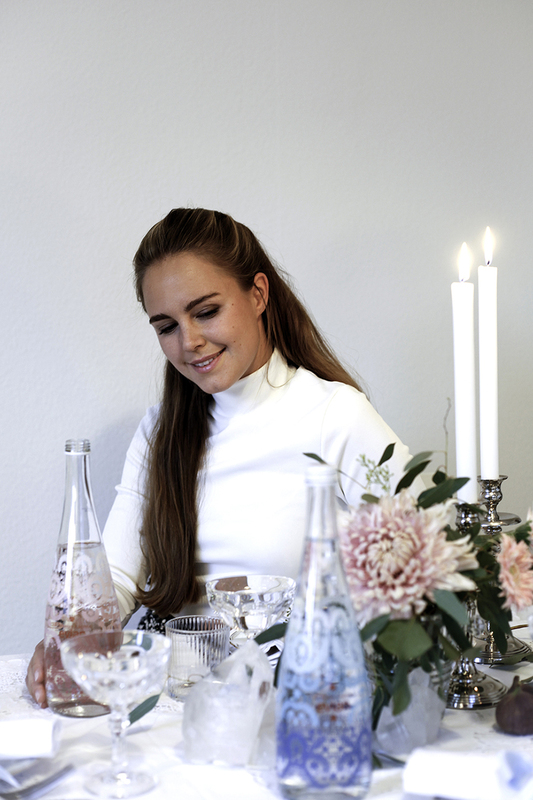 To celebrate the ten years anniversary of the evian limited editions the initiators of the project, Christian Lacroix and evian united for a second time. The characteristic Paseo design was newly interpreted according to the "Live Young" philosophy of evian. 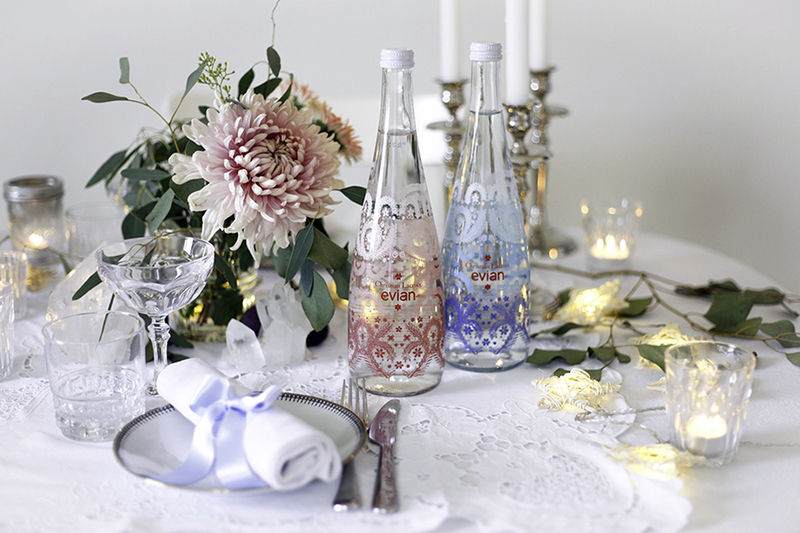 I had the pleasure to work together with evian to put the bottles in scene. So this is actually how our dinner table looks every night - or maybe not. But the cozy winter edition is very true to the style of our flat. So you get a little insight of how we live. 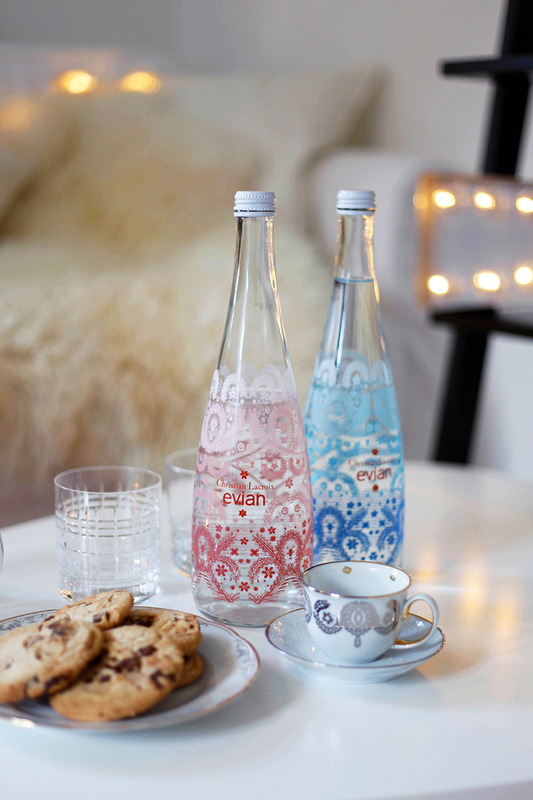 And of course the cookies on the table are a must next to the beautiful evian glass bottles. They are an eyecatcher on every festive table. And of course also to enlighten your daily water moments. I love the fact that you can also use the bottles for decoration once they are empty. In Switzerland you can get the bottles in selected warehouses, restaurants and hotels. I'm happy I've got some at my place already.